Amazing. But unfortunately I did a little bit wrong trying to get software updated through the gadget itself. Now it does not support some apps at times. how do you delete the old messages?...where is the code it says you must write in? 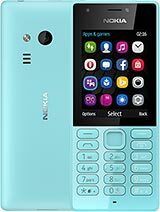 i am using this mobile phone since 2008. i have no any fault so for in this mobile but i have change its battary once........ this is good for me. i am using this mobile past 3 years still i didn't found any fault in this phone really a good one and it also my dads gift. This phone is really strong.. it doesn't break that fast, I have been using this phone for almost 3 years now and it's still working well.. I want to let it rest and get a new phone soon, he served me well..